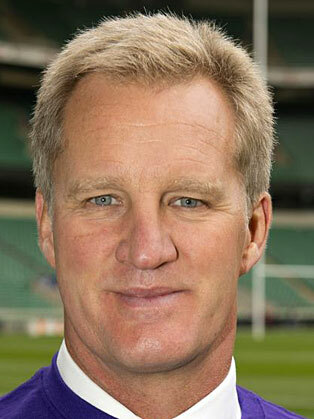 Lynagh represented Australia from 1984 to 1995, playing at both inside centre and fly half. Lynagh was capped 72 times for Australia, and was captain from 1993 to 1995. He was the world points scoring record holder when he retired, with 911 points. Lynagh was a member of the 1984 Grand Slam winning team and was vice-captain when Australia won the 1991 Rugby World Cup. Until he handed the kicking duties over to Marty Roebuck, he scored in every test he played in, including a try against Wales in 1984 when he was temporarily relieved of kicking responsibilities. He retired from International Rugby after Australia's loss to England in the quarter-final of the 1995 Rugby World Cup.